Top 9 Reasons Why More Ashgrove Locals Choose To Use Jetset Plumbing! As a resident of Ashgrove you can feel confident in utilising the services of Jetset Plumbing as your local plumbing team. They are able to quickly attend to any plumbing requirement you may have including all plumbing, draining and gas fitting services. Jetset Plumbing has been servicing Ashgrove locals for over 20 years and the fully licensed, professional plumbers are there for you too. They will provide fast, reliable and affordable solutions for all your plumbing requirements. 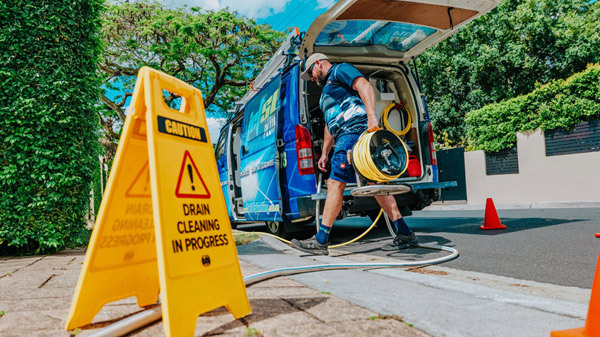 Drains can slowly become built up with foreign objects or even tree roots causing a blockage of flow and this is where Jetset Plumbing can help. With technologically advanced equipment they are able to promptly identify and location the cause of the blockage resolving the issue with as little as possible inconvenience to your daily life. Give your friendly team at Jetset Plumbing a call on 1800 443 996 for any assistance you may need. Only 4 kilometres north-west of the Brisbane CBD the inner city suburb of Ashgrove is a leafy residential area characterised by hilly terrain and many beautiful old Queenslander homes built around the early 1900s. Ashgrove has generally resisted the influx of residential apartments and remained largely single dwelling houses. Freehold land went for sale in 1856 and by 1875 the sale ceased due to all the land being sold. Waterworks Road was a catalyst for development and was laid down in the 1860s. 1920 saw the tram line extended along Waterworks Road from Red Hill to Ashgrove and this connected the suburb with the rest of Brisbane. The line closed in 1968. There are some variations on how the suburb name of Ashgrove come about. One suggestion is the name was derived from Grove Estate, owned by Mr Holmes, and subdivided in 1884; the next suggestion is the name was derived from the Ash Trees that once grew in the region; and lastly Ashgrove was firtly documented in the Post Office Directory in 1874 as the address of a Mr G. Harding. The suburbs of St Johns Wood, Enoggera, Alderly, The Gap, Newmarket, Mount Coot-tha, Bardon and Red Hill surround Ashgrove. A count of 12,916 is recorded as the population of Ashgrove in the 2011 Census. If you reside in Ashgrove and want a friendly and reliable plumber then give Jetset Plumbing a call on 1800 443 996.